Your ultimate blissful Bali getaway, with newly renovated rooms, a quiet beach, kids’ club, and beachfront eatery! Whether you want to spend your entire time chilling out by the pool or catching up with friends in one of the bars, the classic Balinese resort that is Hyatt Regency Bali has plenty of space and opportunities for you to completely recharge; it’s the perfect tropical escape. Originally built on a coconut plantation, the resort is blessed with the widest beachfront in the region and has the largest garden on the island. Families will enjoy the laid-back Sanur vibe, while couples will revel in its romantic, old-school charm. With 363 newly renovated rooms and facilities, the resort is eminently comfortable while at the same time retaining an authentic Balinese feel. Location The Hyatt Regency Bali is right on the main street of Sanur with 500 metres of beachfront and Bali’s top destinations close by: Seminyak is 45 minutes away and Ubud just an hour. Eat: The hotel has two restaurants: Omang Omang with its all-day dining, and Pizzaria by the beach. Outside the hotel you can enjoy hundreds of cafes, restaurants and bars. Play: Though most people come to Sanur to relax, there are plenty of options for turning your mild a little bit wilder. Beach clubs are within 10 minutes of the hotel, and bars with live music or sports are a quick walk away – plus you’ll find chilled-out yoga studios as well as hip boutiques and salons. Within the hotel, guests can swim in one of three pools, mingle at the Beach Bar or get pampered in the lavish spa. The hotel’s renowned, established garden makes a fabulous backdrop for family or romantic portraits. Book a photo session with a local photographer and snap some of your best Insta shots ever. 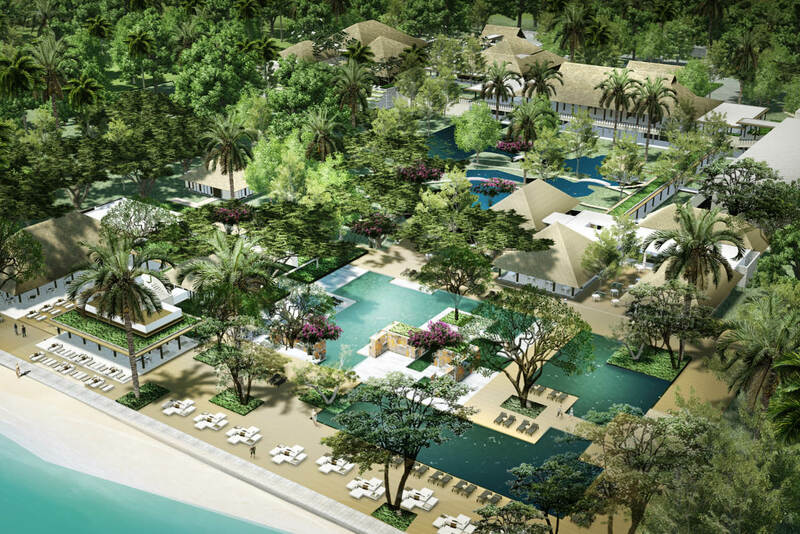 The garden is home to about 500 species of flora and fauna, and trees from the old garden of Bali Hyatt have been restored and given a new home. Head to the spa to try a watsu (water shiatsu) treatment – essentially a massage on water! Sindhu market offers a glimpse of local life. A wet market by day and food market by night, Sindhu is Sanur’s unofficial melting pot. Located 10 minutes’ drive from the hotel, the market opens from 6am to 10am and 6pm to 10pm. Visiting Bali with family? Read this! Is this Bali’s most relaxing hideaway?